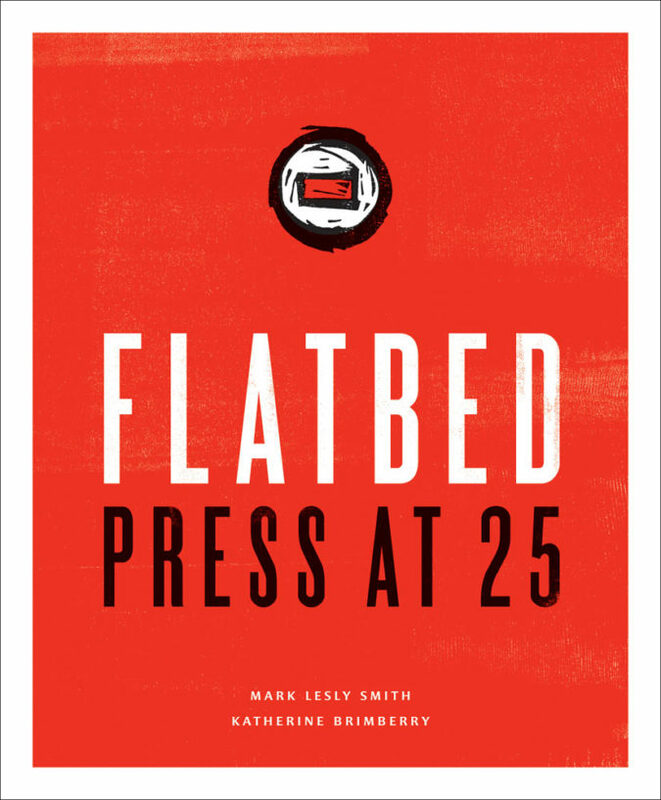 This five-and-three-quarter-pound tome celebrates a quarter-century (1989–2014) of the persistence and imagination of native Texans Katherine Brimberry and Mark Lesly Smith, the principals of Flatbed Press, located on the east side of Austin, Texas. 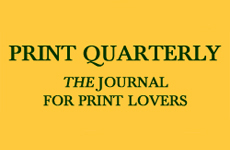 Brimberry, who studied intaglio with Spencer Fidler at New Mexico State University, brought enthusiasm and printing skills to the nascent business. 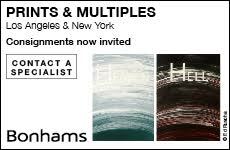 And Smith, who earned a doctorate at the University of Texas at Austin with a dissertation on the prints of Robert Rauschenberg, contributed curatorial and administrative talents. Together they piloted at Flatbed a crew of family, friends, artists, printers, collectors, assistants, interns, volunteers and curators. Anniversaries, like birthdays, cut in two directions: they celebrate an accumulation of accomplishments, and they remind us of a past that can never be regained. In both senses, this commemorative volume pulls together for the reader Brimberry’s and Smith’s personally selected efforts. 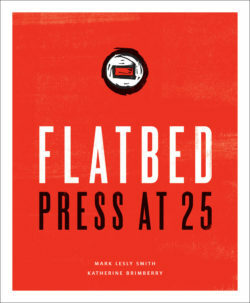 Amid a downpour of lithographs, photogravures, etchings, monoprints and occasional screenprints, the book offers readers an opportunity to ponder and assess Flatbed’s achievements.